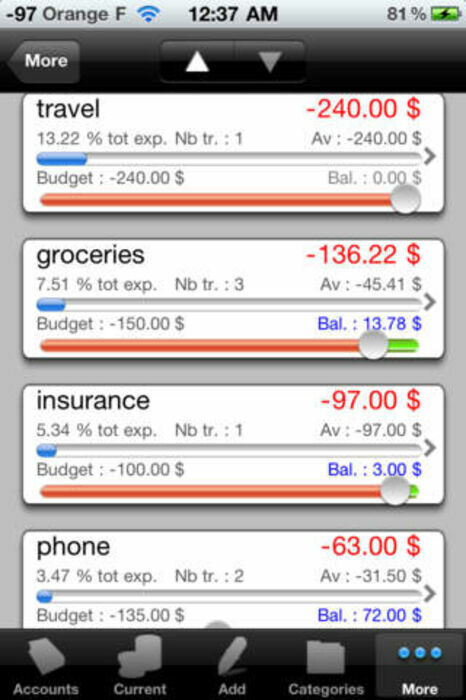 SimpleCash Lite is a full featured cash management software specially designed for iphone and ipod touch. - import/export transactions with spreadsheet document. relevant) available in the 3 entry points for direct tracking. - customizable list : account types, transaction types..
- tools to manage database: move between accounts, categories, purge,..